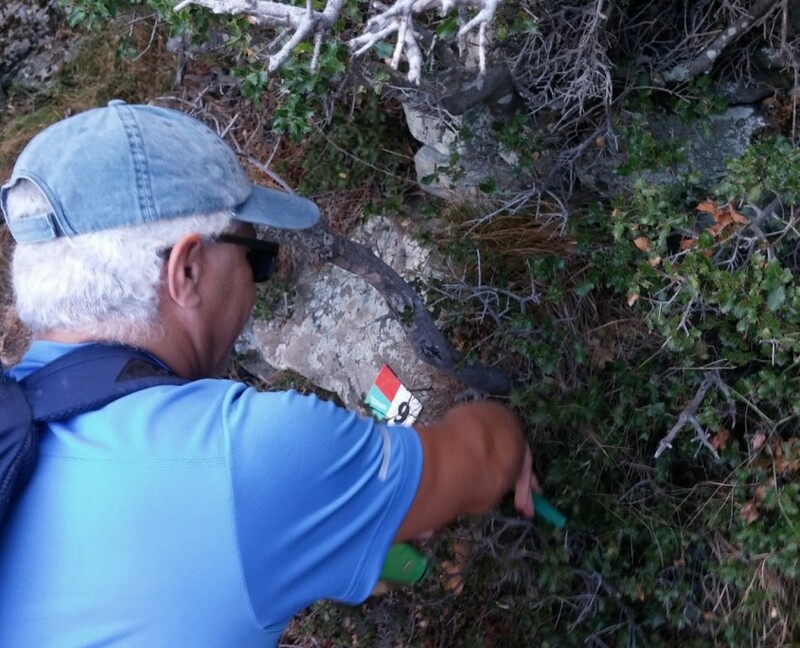 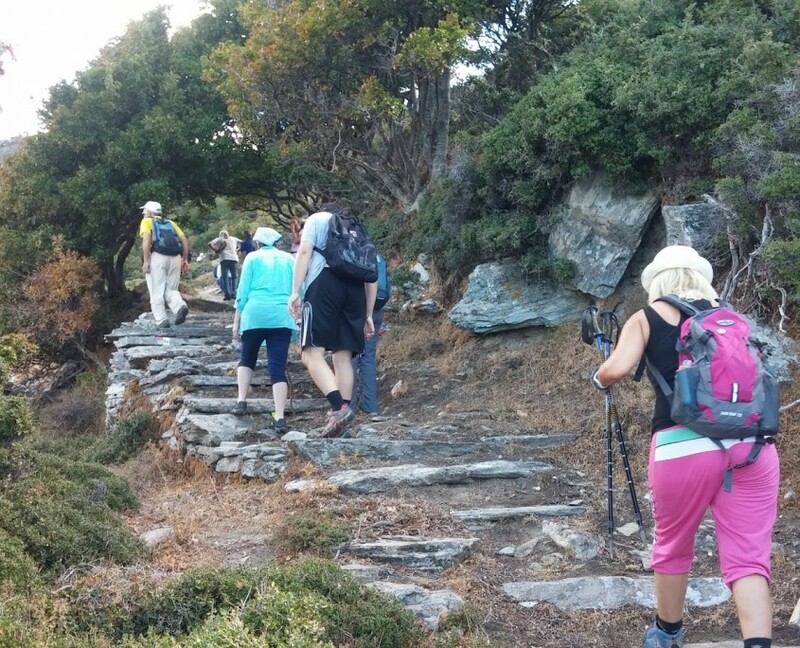 28 people from several places of Andros (Mermigies, Fellos, Pisolimionas, Gavrio, Ano Agios Petros, Kypri, Batsi, Aprovatou, Mesathouri, Menites, Katakalaioi, UK, Germany) have participated on our 15th maintenance hike last Sunday the 9th of October 2016, from Paleopolis to Ano Paleopolis, Ano Pitrofos and menites. 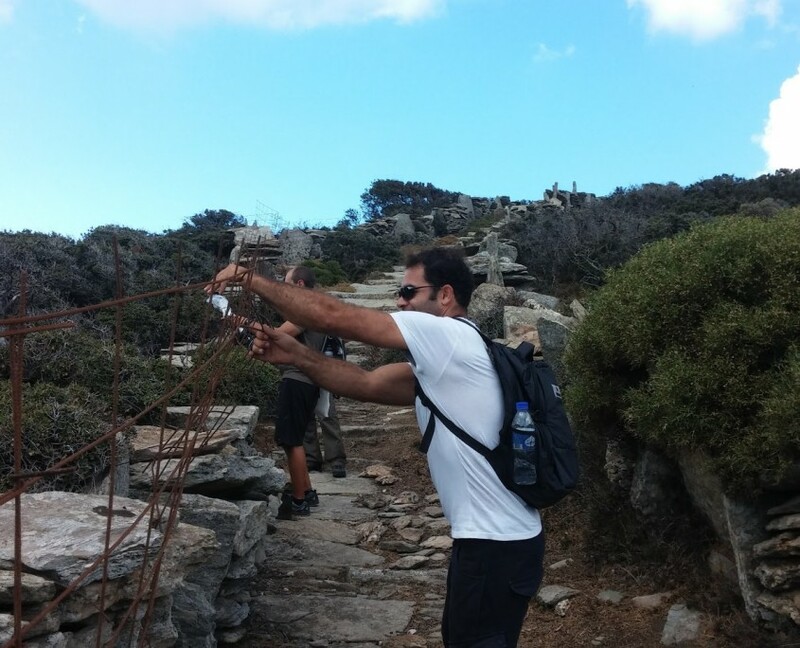 The weather has been ideal, with a little breeze and mild temperature for this season. 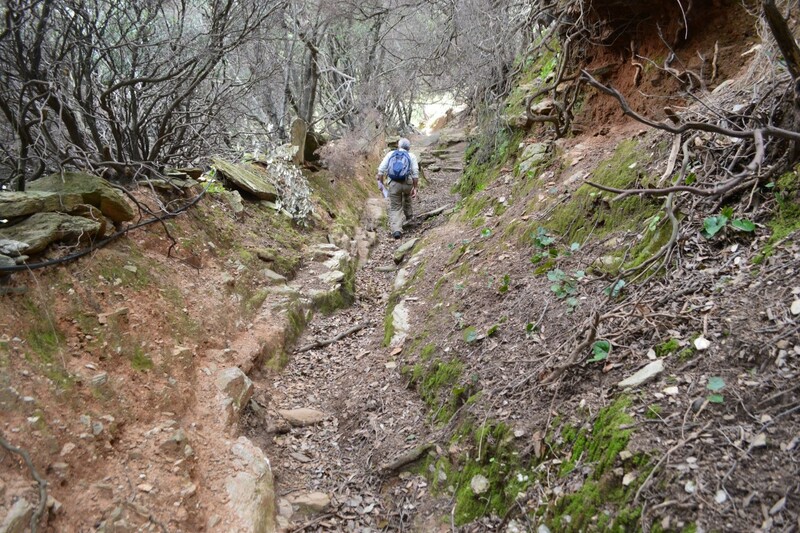 The first steep ascend we hiked it in shade. 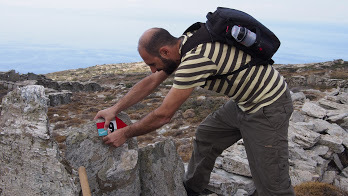 At the ridge of Ano Paleopolis it was cooler due to the altitude and later during the day we descended along the part from Ano Pitrofos to Menites. 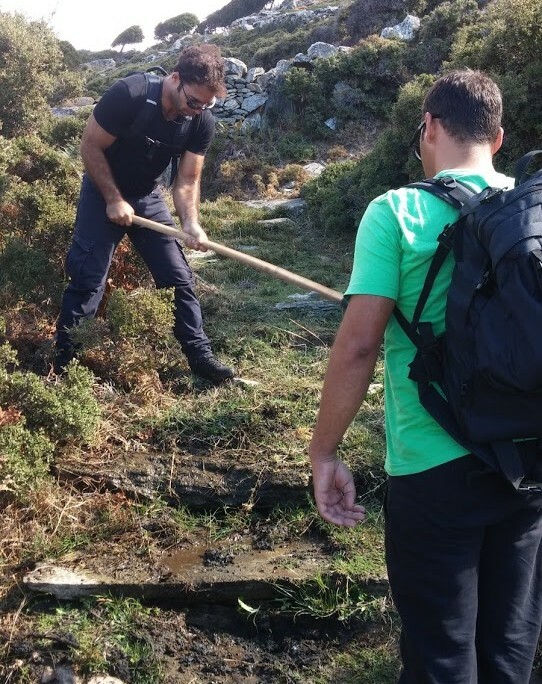 As we usually do during these hikes we have cleared overgrown vegetation blocking the pathway at several spots and also reinforced and improved the way markings where necessary. 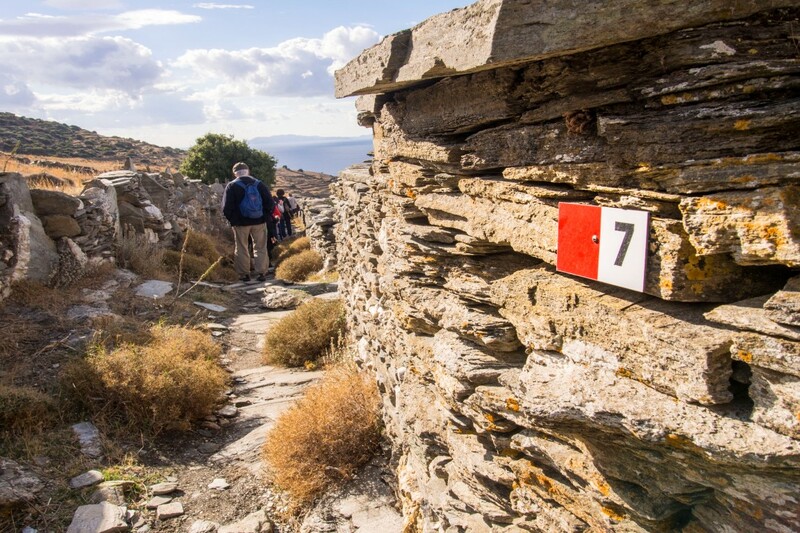 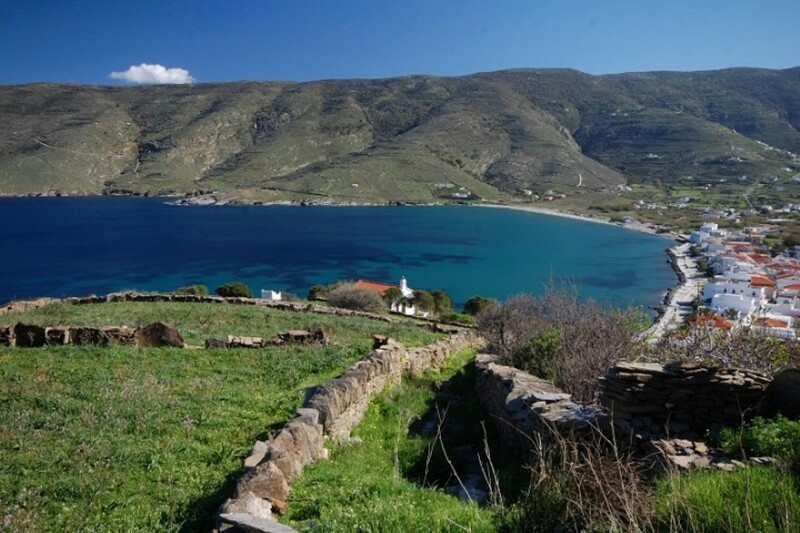 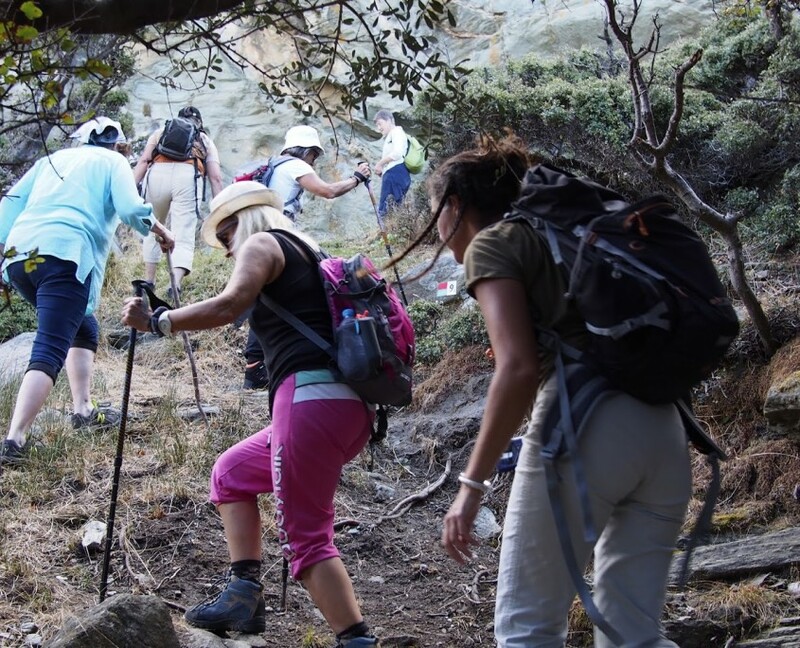 We have this way maintained part of the certified “Andros Route” which 1 year ago received the certification “Leading Quality Trails-Best of Europe”. 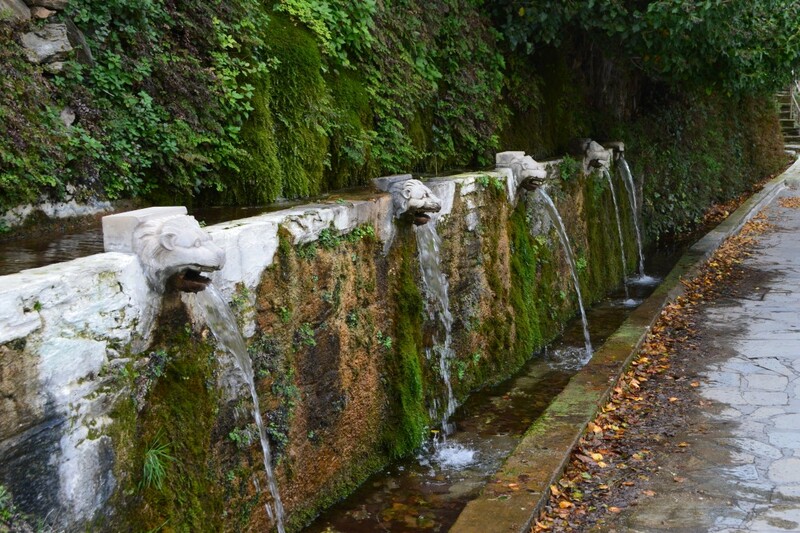 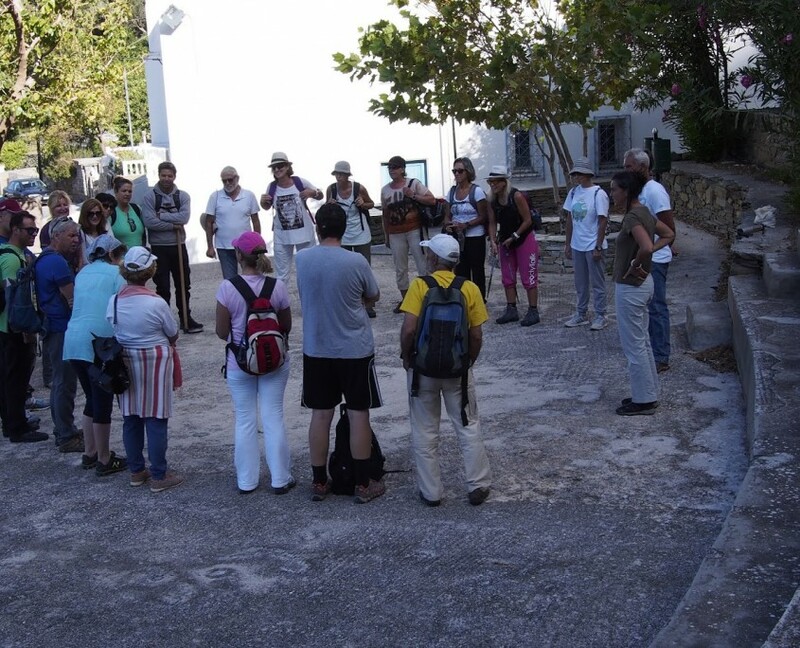 The beautiful day was completed later in the afternoon with a lovely meal at the square of the Menites springs, under the lovely huge plane trees, where more friends where waiting for us, the ones that were not able to participate on the hike. 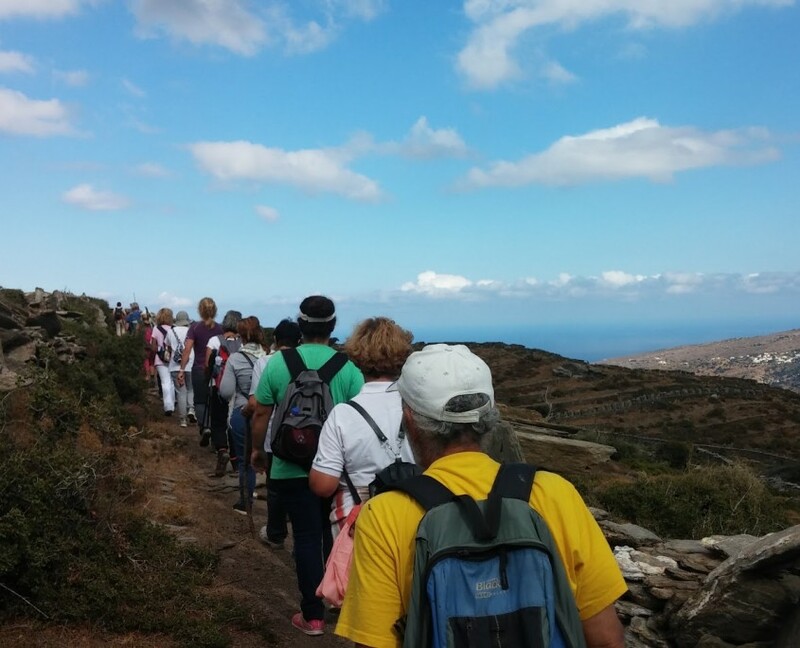 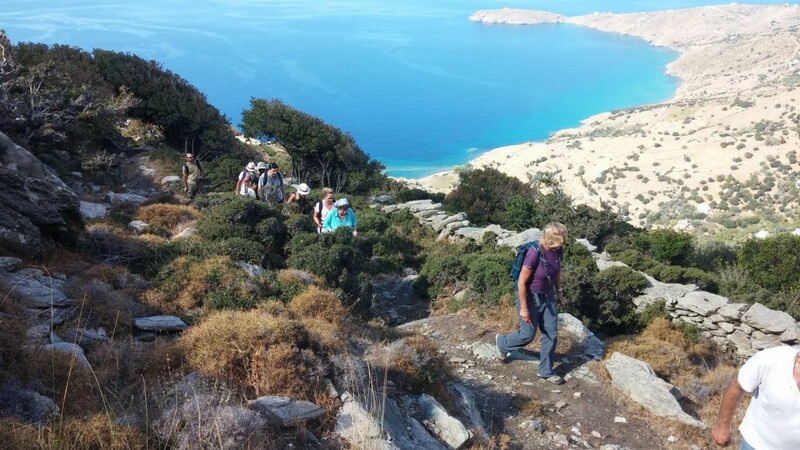 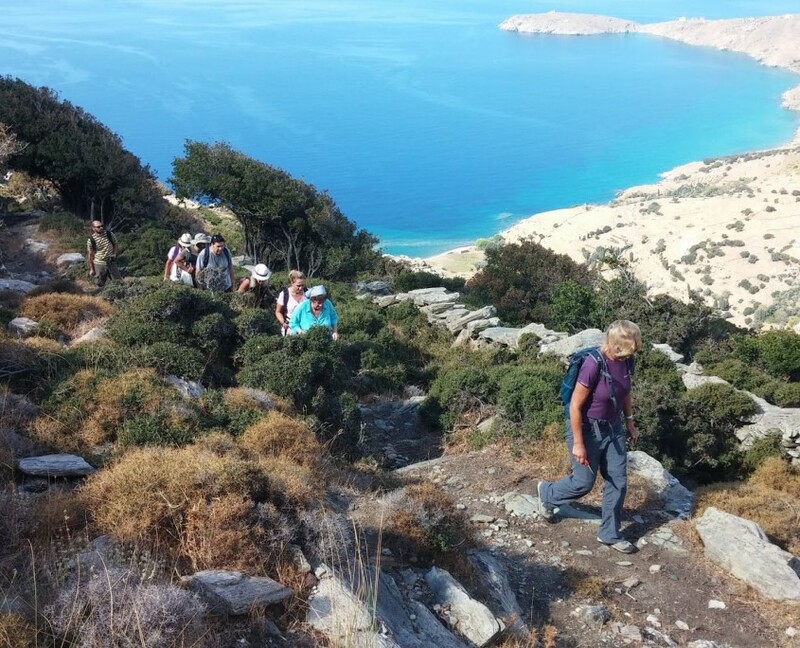 It was a great pleasure for us the fact that several people – from different parts of the island- have attended for the first time on our hikes and really enriched our company. 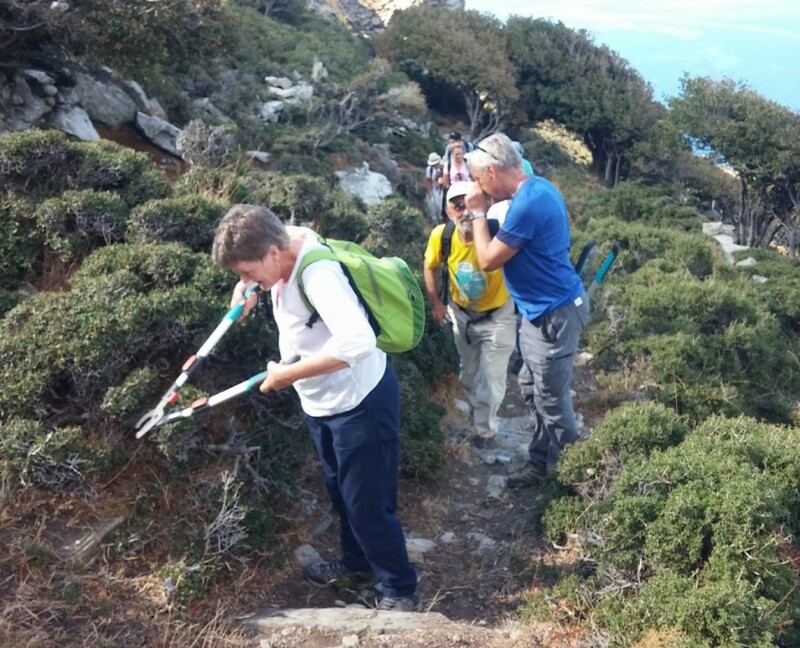 Very touching was also the participation of the 3 Ramblers visitors from the UK that have been staying on the island the last few days for hiking and came to support our effort ! 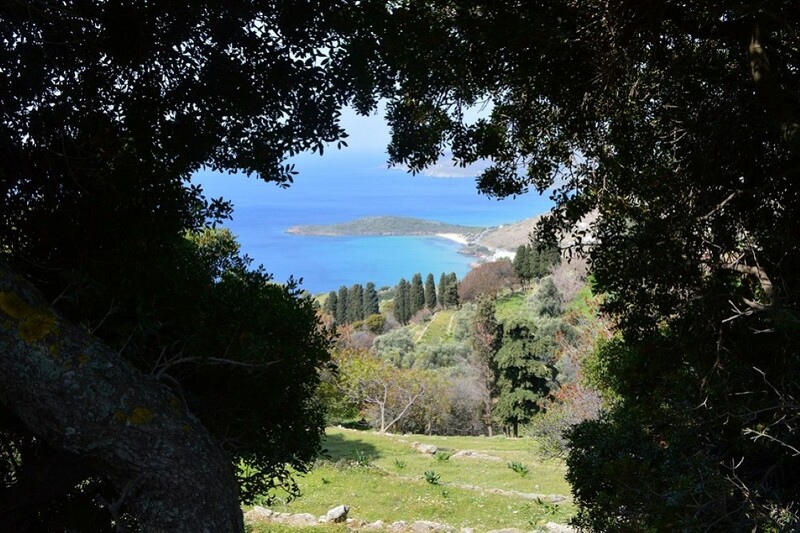 Our gratitude to all participants and we will be soon announcing a new maintenance for the week-end attached to the Greek National Holiday of 28th of October.